You have chocolate. Or coffee. Whichever. How many variables are there to an amazing chocolate? Here are some lessons I’ve learned from the master biohacker, The Bulletproof Executive. How do you deal with micotoxyns (mold) from fermentation? There's good microbes and not so cool microbes. What kind of soil, altitude, weather? Pesticides or no spray at all? How is the bean processed? What flavor do all of the above finally create? How is the bean, cacao powder finally combined with other ingredients? Is it combined with anything else at all? What do you put your laser-focus on? Do you optimize for flavor? Along the same lines, what direction do you send your daily intention and focus in? Do you focus on the ultimate intention and bigger picture of having a blissful, purposeful and playful life, and then all of the other details subsequently fall into place? Namely, better choices, delicious thoughts filled with love and play, experimentation and discovery, better food, better movement, more dynamic choice? What do you infuse your thoughts with? What’s their quality? Tibetans and Ayurvedic medicine definitely know something we had forgotten: delicious butter, or ghee. Add some cacao powder, some cacao butter and a hint of vanilla to your fatty coffee, you'll love it! It's like drinking pure love. Anoint yourself with food. It's not that hard. Very sacred plant in Central America. Cacao has antidepressant qualities, it is calming to the emotions. Cacao is rich in antioxidants and minerals, and is one of the best sources of magnesium, which very many people are deficient in these days. Digestive tonic, has bitter properties that are cleansing. Ally for women during menses, emotions & hormones. Light stimulating effect, without being taxing on the nervous system. 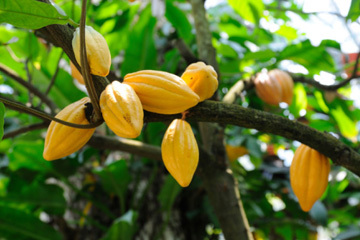 Cacao is a very strong plant spirit with long history of deep relationship with humans in ceremony, as very sacred and revered plant. Holds us, reaches to our depths, opens up our senses, calms the gut & root, wakes up the mind and lifts the spirits. Love yourself in the morning. And please have chocolate often, very often. It's not that hard.